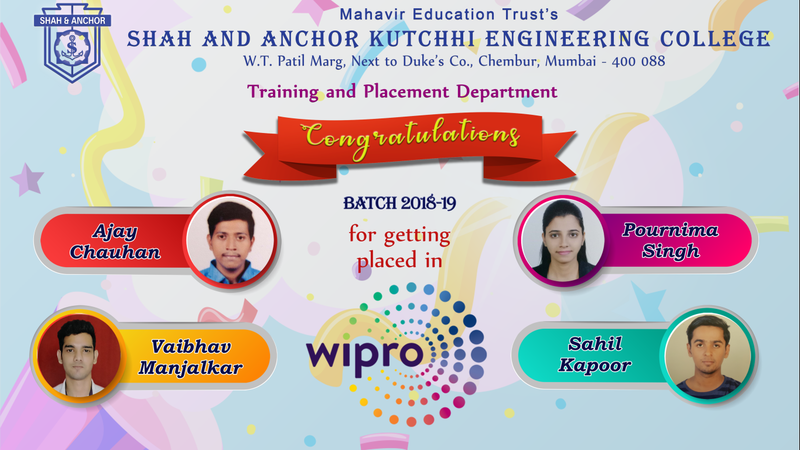 With pride and Honour SAKEC Training and Placement Department congratulates our WIPRO placed student from Batch 2018 -2019. We wish them good career and growth in their work domain. Our best wishes to each one of them in their future endeavours.